Europe can integrate a larger share of renewables into the power system provided policymakers take significant steps to overhaul electricity markets, a new report finds. The Market4RES study – an EU-funded project – claims that more flexible electricity markets would significantly reduce the cost of integrating variable renewables in the energy system. The specific elements of flexibility the study recommends are: more cross-border trading of electricity over a broader geographical area; a level playing field between renewables and conventional generation in accessing electricity markets including balancing; transparent pricing of electricity; increased use of dynamic pricing to boost demand response; and better design of support schemes for renewables. Giles Dickson, CEO of WindEurope, said: “Today’s power markets are dysfunctional for the generation mix we now have. They worked OK when we only had conventional power plants. But they don’t work for a system in which renewables now make up 29% of electricity. We need more intraday trading, so we can sell power as close as possible to the time of production. We need more cross-border trading, so we can make the most of wherever the wind the blowing. And renewables need to have full access to the markets for frequency control and other balancing/ancillary services, not least since they can offer these services at lower cost than conventional power plants. 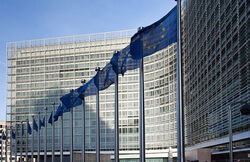 The EU will be addressing these issues in the new legislative proposals for electricity market design, which it is expected to table at the end of November. Click here for the full Market4RES report.